I review bundles. That's my thing. I do other stuff too, or at least I try, but in the end my goal for each of my bundle posts is to say "Yes, this is a wise purchase of games for your backlog" or "Nah, you can probably do without these games." Obviously I'm not really needed here. This is the best bundle Humble has ever released. OS support across the board. Soundtracks. It's sold over 500,000 copies and has raised well over 4.5 million dollars. I just can't imagine there's a single person out there who's going "Hmmm, well, I'm not sure if it's a good deal." It's the best deal. If you play video games you have to buy it. So this is less of a review of the Humble Indie Bundle V, and more of a victory lap. It's a bit rushed and off the top of my head. There's only 19 hours to go as of this post. Why am I bothering to finish this? Because why not? Skip past the break, quick! 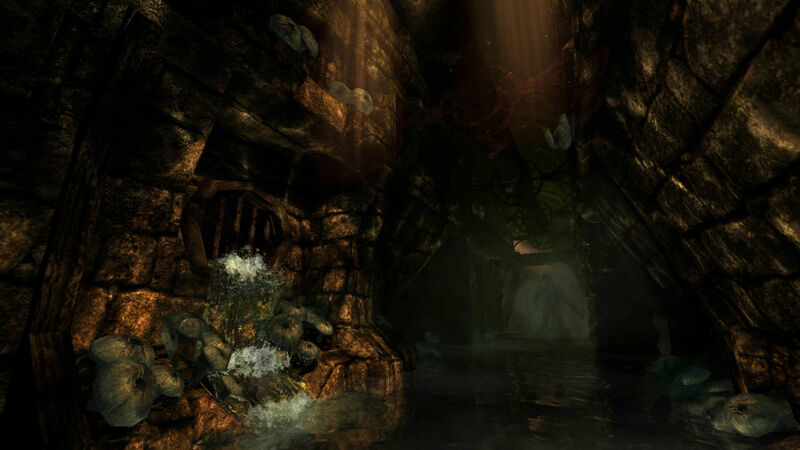 Amnesia is awesome because it's pretty much the scariest thing I've ever played. I'm a huge baby when it comes to scary things, but even I think Amnesia is worth trying. It's got this kind of legendary status in the collective minds of gamers as a pinnacle to conquer. It's one of those achievements you just have to do. There's nothing creepier than running around in a dark, scary castle, dealing with the less than hospitable hosts and increasingly scant light sources. There's a lot of thought that went into these scares, which is why the game works so well. Deep down you and I know there is an internal set of rules guiding the monsters and the frightening bits, but the fear comes with the uncertainty of when and how these rules will be broken (and they will be broken). Logic is the greatest asset for playing Amnesia, but the game is fundamentally designed to prevent you from being logical. Many people claim you need to play by yourself with headphones in the dark. While I'm all for the headphones and dark bit, I strongly suggest trying to play Amnesia with others, as I did in my slightly infamous livestream. The presence of other people keeps you from being able to chicken out all that easily, and collective freak-outs are the best kind of freak-outs. I've never had so much fun playing a game as I did with four other people all screaming at me to "GET OUT OF THE FUDGING WATER!" So play it. 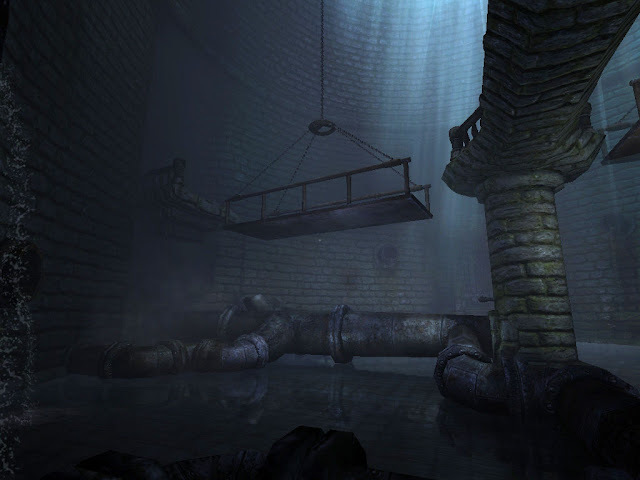 Even if scary things aren't your thing, Amnesia is such a cultural milestone for horror games that it's worthwhile to just play it, if only to say you have. Grab friends, turn on the lights, do whatever you have to do, but you owe it to yourself to try this modern masterpiece of suspense. Psychonauts is awesome because Tim Schafer and the rest of the talented team at Double Fine are some of the best game designers on the planet, bar none. Psychonauts is the game that just keeps on getting better; it starts out neat yet slow, but the insanity slowly builds up until you're running through an Escheresque neighbourhood looking for the Milkman and you don't quite know why or how. The technical side of the game is great. Art style is great, soundtrack is great, voice acting is superb. The dialogue itself is hilarious, with some truly memorable moments. The gameplay itself is great fun; it's one of the last really great 3D platformers, all about collectibles and secrets and abilities. 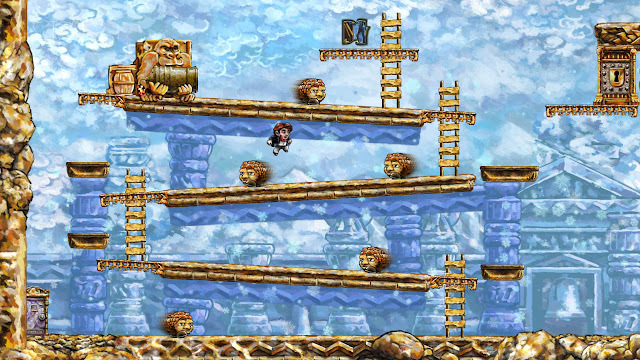 I greatly miss this style of platform game, and there really isn't anything happening in this field these days. 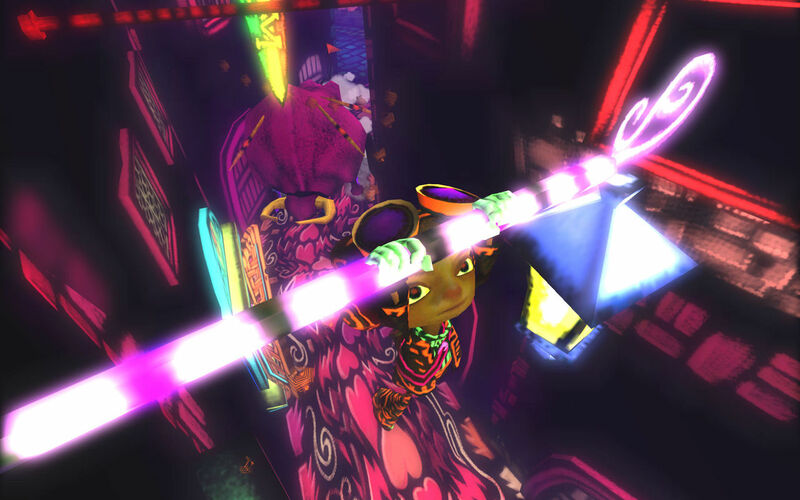 But that's all peanuts compared to just how amazing the creativity in Psychonauts is. The levels are just a triumph. Like I said, it starts slow with levels that, while unusual, aren't completely unique just yet. Then you hit some of the all time great chapters like Lungfishopolis and the Milkman Conspiracy, and right there you have some of the most unique and creative levels ever designed. It's sad that games like this never really get made anymore (anyone else looking forward to the 3D platformer renaissance?) but hey, Psychonauts was about as good as they get. If you haven't played it, you really should, at least until the fourth level. 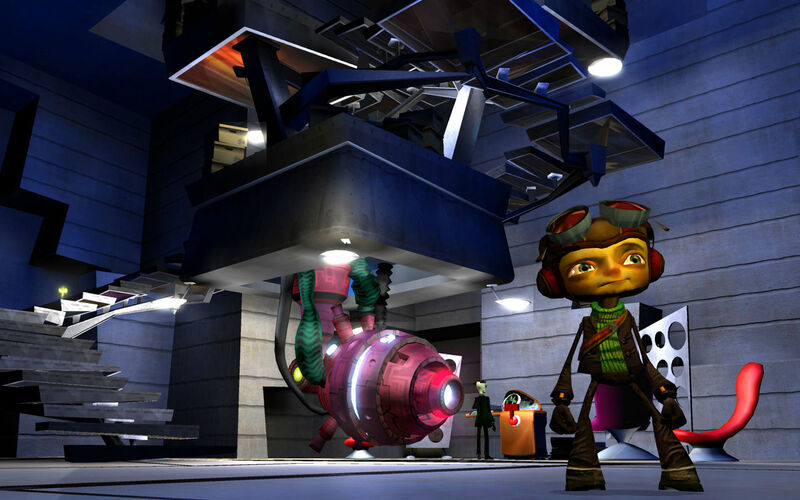 Like most Double Fine games, there's a point where Psychonauts transitions from pretty great to all time classic, and you rarely even notice it happening. Also Tim is totally my Facebook friend, which basically means we're real life best friends, so I'm pretty biased. Limbo is sad. It's horrifying, it's gruesome, it's terrifying and most of all it's impressive how much the developers do with so little. There's no blood and gore and shaky hallucinations and melty face monsters (that I'm aware of), but it's still just a generally creepy game considering the subject matter of brother saving sister. Why is it creepy? First of all, the minimalism. Everything is black, simple shadows across the grey backdrop. It's a unique, effective art style, and I guarantee they make good use of it. If you don't think that Play Dead would use the art style to hide vicious things, you vastly underestimate just how effectively creepy it is to see something slither and break off of a shape in the foreground. Secondly, the deaths. You will die many times, and often these deaths will be brutal. 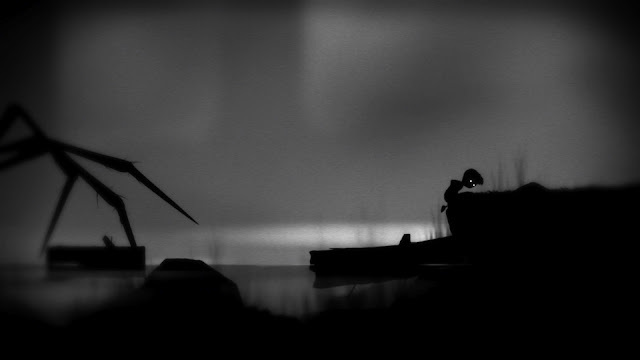 The poor Limbo kid gets decapitated, poisoned, stabbed, spiked, impaled, crumpled and everything else, and the only censorship comes from the strict black art style, and not because of taste. It will surprise you, shock you and probably make you a bit queasy. But the best part? Great puzzles. At first the game seems like a simple crate pushing puzzle, but it soon becomes a mecca of outside the box thinking. You have to be smart, intuitive and aware of your surroundings to figure things out. There's no mechanical trickery, like the puzzles in games like Braid, and no item scouring like in Amnesia. 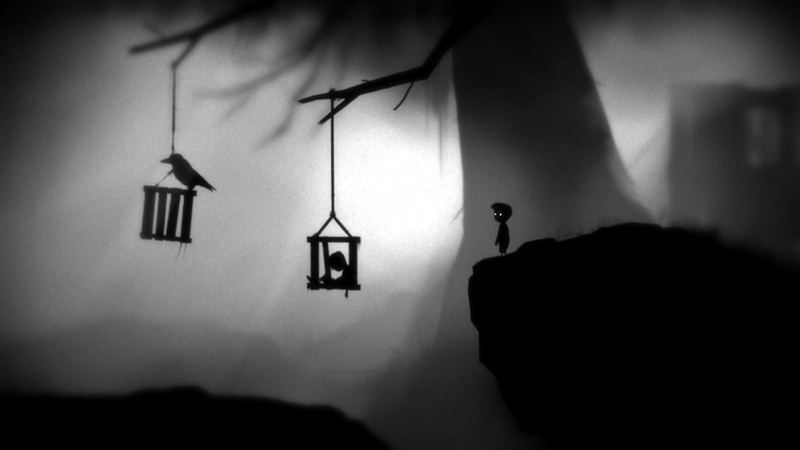 Every bit of Limbo is based on clever intuition and logic. Grim, dark, cold logic. Superbrothers is undoubtedly a great game in an artistic sense. First you have the visuals, which are some of the most unique retro based graphics I've seen in years. While most sprite based games look like a SNES refugee title, these are truly unique and gorgeous. The soundtrack is similarly incredible. This is one of those games where I owned the soundtrack long before the game itself (alongside Bastion and Super Meat Boy). In terms of gameplay, Superbrothers somewhat emulates the point and click model, but also ropes in most of the Legend of Zelda tropes to make something quite a bit more unique. It mostly revolves around exploring with occasional swiping combat challenges. But even if it's not exactly a traditional point and click adventure, the writing is still just as solid as any classic of the genre. 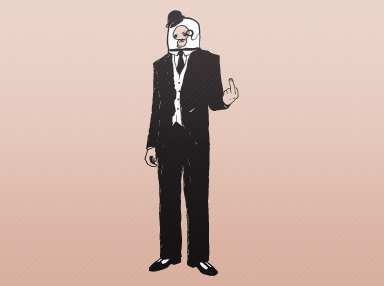 It's very funky, for the lack of a better word, and comes across as casually offbeat. Nobody is ever happy, they get "jazzed". It's not obvious, but "100%" obvious. And he's not a woodcutter, he's "LogFella". The quotes are designed to be quotable, which is exactly what you can do via an in game Tweet button. 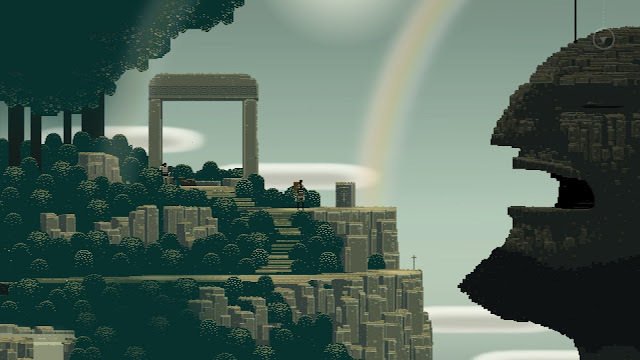 Check out #sworcery for all the examples you could want. Now, the problem here is that the game doesn't work nearly as well on a PC over an iPad. With such holdovers like double-tapping to move and the like, it simply isn't nearly as much fun to play. It's kind of a shame, but you can really tell while playing that this version is a bit inferior. If you have an iPad, go grab it on that system and you'll have a fantastic time. 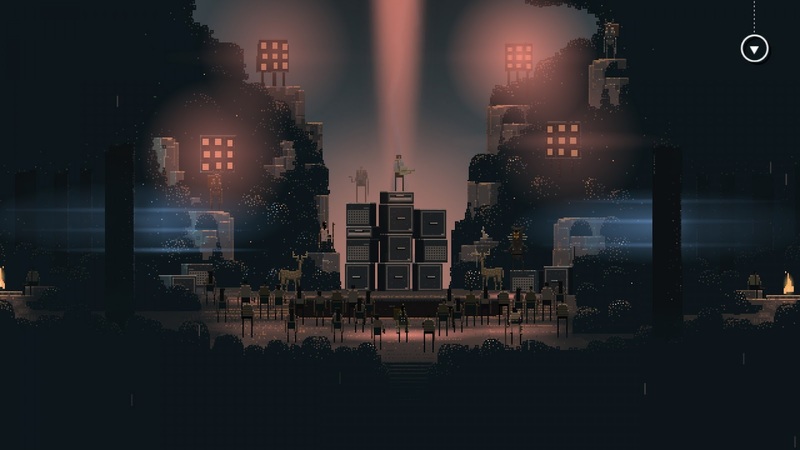 But even if you're stuck with a regular old PC, Sword and Sworcery is definitely worth toying around with. 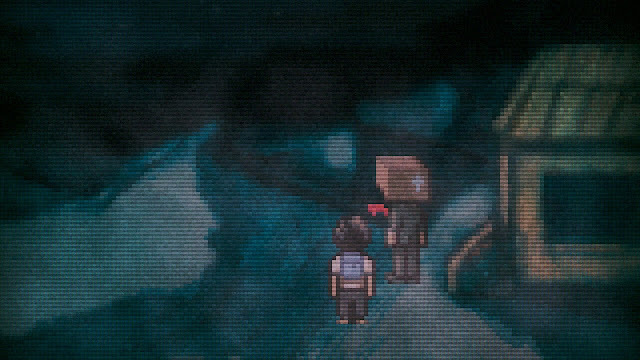 The dialogue is snappy, and the game is quite the audiovisual experience. 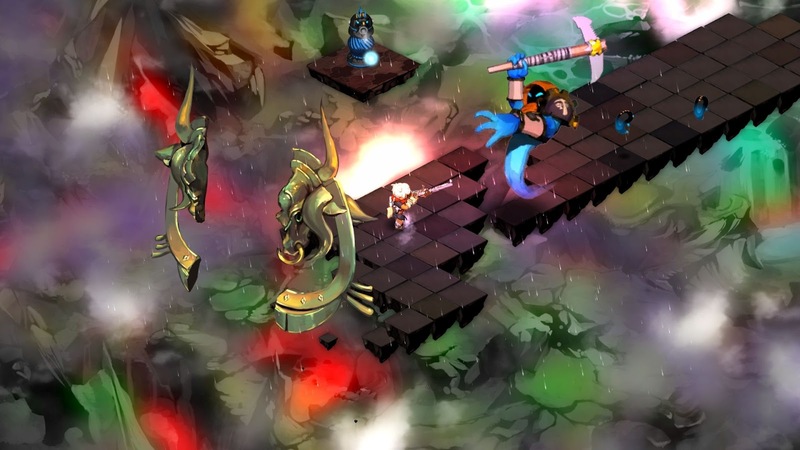 Bastion is, hands down, one of the best action RPGs ever made. There are many reasons for this: partially because it does something different than the average action RPG, but mostly because everything it does is top notch. The story is brilliant in both content and conveyance, with the instantly memorable Rucks' rambling one-sided dialogue. The gameplay is brilliant fast paced content with plenty of weapons and items to pick from. The graphics are absolutely beautiful works of art, with a bright vibrant style in stark contrast to the darkness of modern gaming. And the soundtrack. Bar none, this is my favourite video game soundtrack of all time. I know everyone loves Build That Wall, and I do too, but the entire thing works as a cohesive whole. The irregular beats, the twangly guitars, the changing tempos, the mash-up of the electronic and the western, it's just the most perfect soundtrack for me. Clearly the game is not too shabby as well, but the visuals and soundtrack is what sets it a cut above. I've already written a great deal of words on Bastion back before my site went into a semi-hiatus, so go read that. In short? It's one of the best downloadable games from last year so go play it. 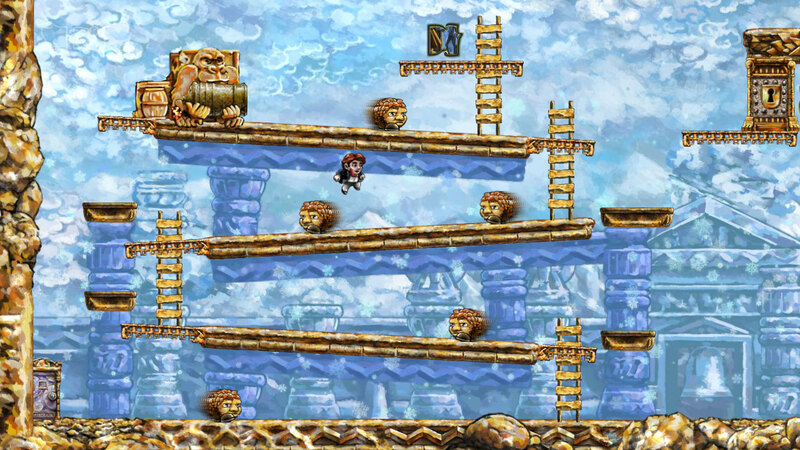 I would bet money you've played Braid before. 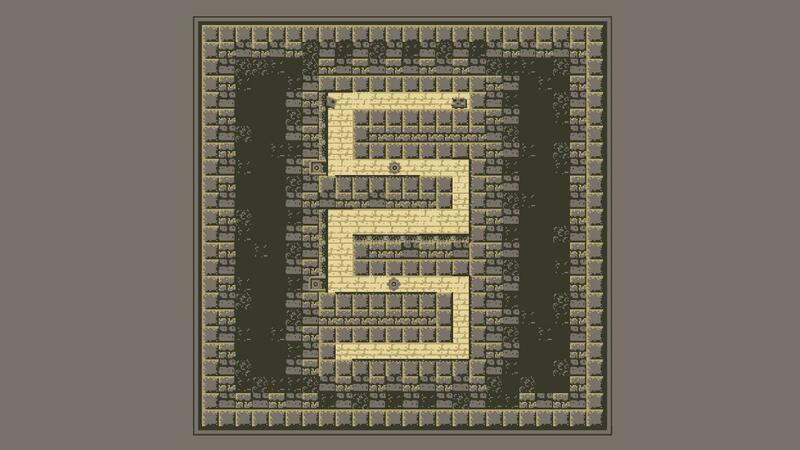 If you insist that you haven't, I'll tell you that it's a puzzle platformer based all around solving puzzles with time. There's also artistic graphics, calming music and Deep Meanings, but even if you ignore that stuff you still get a brilliant little game. The brilliance doesn't come from the twist ending (which is admittedly quite good) or nuclear bomb allegories (which is admittedly quite strange), but from the puzzle design. Braid introduces a new mechanic in each world you come to, then extrapolates puzzles and ideas from every facet of the mechanic. It's all so clever, and you feel clever when you figure things out. It's not too difficult, only requiring a bit of an "a-ha!" moment rather than repeated trips to GameFAQs like some of the more brutal puzzle games. 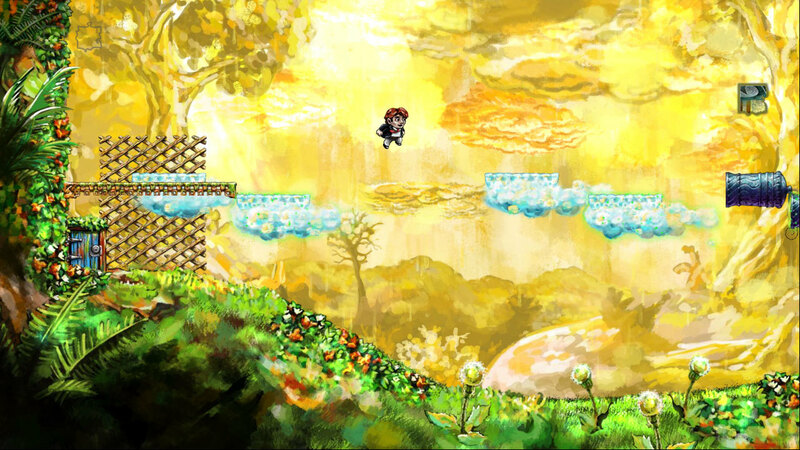 The main criticism I see people level against Braid is that it's quite short. While it is, and you can beat the game in as little as an hour, I rather like the short length. It makes sure that the mechanics don't overstay their welcome, and condenses the game into six very tightly designed worlds. Quality over quantity, and it works well for the game. Plus length isn't as big a concern when the game is being sold for such an amazing deal. I don't really want to talk about it too much more because Braid is a) a game better experienced for yourself and b) a game that is much more interesting to talk about after you finish it, and not before. All I will say is that you should definitely set aside a couple of hours and just play it straight through. You'd be surprised as how far you can take a rewinding time mechanic. As much as I would like to talk about Meat Boy over and over and over and over, the scourge of the real world demands I earn money and not starve, or something. So since I don't have a ton of free time at my disposal, I'll copy and paste my blurb from the illustrious fourth Humble Bundle in which it also appeared. Behold! Super Meat Boy is one of the 16 games I managed to complete before I started this site, so I was worried that I wouldn't get to talk about it. Luckily it finally made it into a bundle, so I get my second chance to gush over my favourite rescue-your-girlfriend-made-of-bandages-from-a-fetus simulator. And gush I shall. Super Meat Boy is one of my favourite games, even though I'm not amazing at it. The game manages to be very accessible even for the unskilled masses simply through good game decisions and technical design. The levels are all very short, usually no more than a screen or two in size. This ensures they never overstay their welcome; when each level is only a minute or so long, death doesn't become as much of a deterrent (the utter lack of loading screens greatly help this too). The low penalty for messing up helps to diminish some of the rage that builds after every death, keeping Meat Boy fun instead of frustrating. Of course, you'll still rage. The game is hard, but almost paradoxically it's fair. The cheap deaths are few and far between and it's always immediately obvious why you died and what you can do to improve. It's a nice little cycle of repetition with constant improvement, so by the end of the game you're beating levels you never thought would be possible. Of course, there are some annoying exceptions. Some of the more random elements (meat seeking missiles and it's derivatives) tend to be annoying to deal with when playing legitimately, and far too easy to cheese if you figure out which corners to cut; the final boss of the fifth chapter is one of the most anticlimactic bosses because of this. 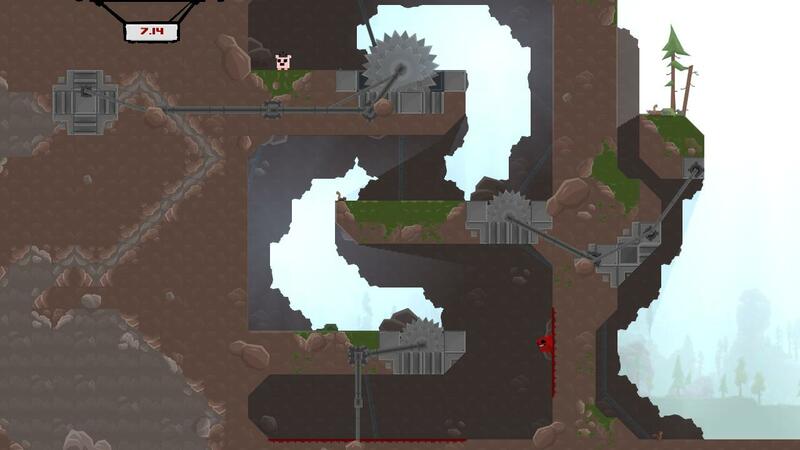 Quibbles aside, Super Meat Boy is easily one of the best 2D platformers of this console generation. Sure it's rude, kind of icky and pretty immature. It's also pitch perfect gameplay. If you haven't tried it before, you're in for a treat. Oh my goodness Lone Survivor is scary. You wouldn't expect that a game with retro graphics could be scary, but here we are. It's described by many as a 2D spin on Silent Hill, and while I haven't actually played Silent Hill, I can see where they're coming from. Let me count the reasons why it's scary. First of all, it's scary because there are monsters. They look like what you'd get if a zombie bit the Slender Man. They're a bunch of faceless, creepy, inside out stalker fellows, and they make horrible rackets when you get too close. They chase you if they spot you, but otherwise just creep slowly and sporadically out of your sight. They also have a nasty habit of showing up right behind you just as the lights click off. Also tense is the limited resources, giving the game a nebulous time limit that just heightens the mood. You have to eat, sleep and conserve battery life, and things go very badly if you don't. But the real scares come from hallucinations and psychology. You will see things that are not there, or not recognize the things that are. I had a constant mounting feeling of dread every time I entered a well lit room simply because I realized there was no possible way this was real, and I would tiptoe around waiting for the rug to be yanked out from under me. Also scary is the dreams your character has, which seem to be pulled right out of a David Lynch movie. With terrifying imagery and enigmatic characters like the Man with a Box on his Head, the dreams are endlessly creepy and, somehow, even worse than an apocalyptic hellscape full of infected monsters. 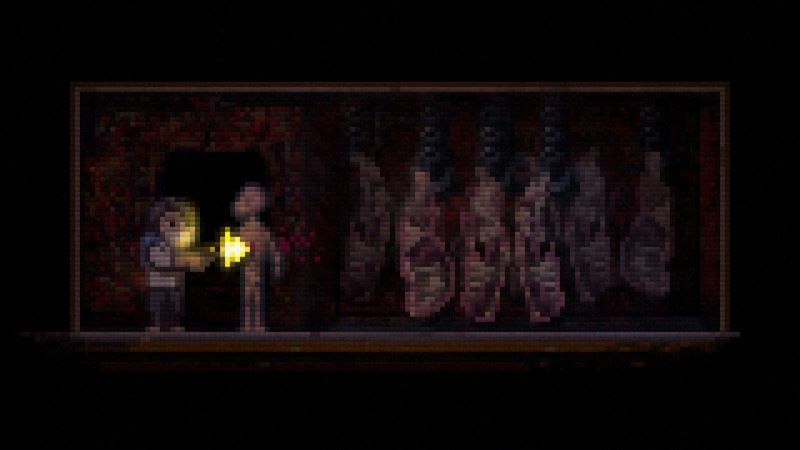 As the only game I had never been exposed to at all before it came to me all wrapped up in a bundle, I can say that Lone Survivor was an unexpected surprise. Unfortunately the surprise was that an infected monster was standing right behind me, right before my flashlight battery died. Aaaaaghhhhsdgahgsdf. So yes. This is probably the best bundle ever. Sure, it's all big name games, but there's a reason these games have big names. Each and every one is stellar. Just grab it. If you're unconvinced, there's plenty of footage of the games on my Twitch.tv channel. While it might not be possible to watch all nine hours or so, skipping around to watch a few highlights might prove useful. Cheers, guys. I know this post is a bit sloppy but, well, dammit, it's tradition. The Backlog Journey without a Humble Bundle post would be like, uhm, Super Meat Boy without buzz saws. Braid without ties. Amnesia without someone shouting "no no no no no no no no!" In short, it's just the right thing to do.